With call recordings, you never have to miss a single detail. Running a successful business means keeping customers satisfied, which is closely tied with staff performance. Recording calls helps you evaluate agent quality. 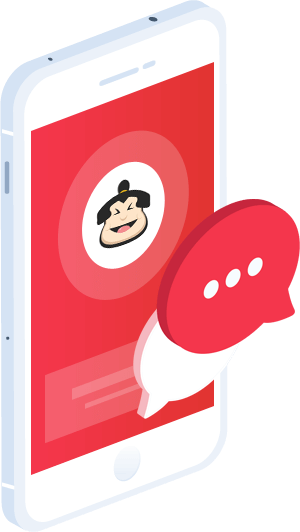 Call Sumo provides historical details about every call. This enables you to pinpoint where issues come up in conversations so you can identify trends and train your staff to manage them. The program also makes it possible to record contact information and other details for callers that an agent may have forgotten to log in a CRM or jot down. You can record any call that comes into or goes out of every advertising tracking telephone number. This makes an ideal sales and training tool. With call recordings, you can double-check details such as email address, telephone number, appointment date, and order number. By recording calls, you can give insight to management about difficult conversations from unsatisfied clients as well as evaluate how agents are handling calls. Employees tend to forget calls quickly, but hearing their live conversations helps them understand what they could have done better. Since call recordings don’t expire, you can re-visit agent conversations whenever necessary. You can configure each call recording to automatically text or email it to your team. With Live Listen, you can listen to calls in progress. This allows you to gauge quality and identify training issues without either party being aware of your presence. Call Sumo makes it easy to record and store each phone call. One of the most prominent features of call recording is two-factor authentication. This enables you to give other people in the company or your clients access to specific call recordings. No one can access the call without entering an audio-specific password that you assign. You can also establish how much time each person has to access the audio file. Our Call Whisper feature announces information to your callers as their call is being connected. Some states have laws that require you to notify callers when you’re recording their call. You can also enable Call Whispers to inform your agents the call is being recorded or the advertising channel it came in on. This gives them important caller insight before the call begins. You can send custom-designed notifications by text or email after each call or according to a schedule you establish. You can include transcription or call recording data in each report as well. This is an ideal way to stay informed about everything if you’re traveling or working remotely. 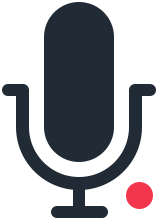 Call recording allows you to transcribe calls so you can read instead of listen to the corresponding recording. While you may miss spoken details, call transcriptions provide all information in written form. We enable voice analytics technology that automatically picks up on specific keywords and alerts you once it has identified a pattern.